One of the most untrue myths about gamers 3 Lies About Gamers That People Still Believe 3 Lies About Gamers That People Still Believe The word "gamer" comes with a lot of baggage -- and the truth is, gamer stereotypes are no longer true. Indeed, "gamers" are now the minority! Read More is that they’re all antisocial and awkward. In fact, gamers are some of the most social people online. Games are simply more fun when played together with others, and that’s true for both single-player and multiplayer games. Are you looking for a social network where you can meet other like-minded gamers? I’ve got good news and bad news for you. The bad news is that gaming social networks are passe. Most “Facebook for gamers”-type sites are defunct, abandoned, or gone. The good news is that there are plenty of faux social networks where you can chat and meme around with other gamers 4 Places to Find Hilarious Gaming Memes 4 Places to Find Hilarious Gaming Memes Memes are a big part of online gaming culture. Let's find some resources that will provide you with hundreds of memes for your enjoyment. Read More . Here are the best sites to check out if you need a bit more gaming chatter in your life. Reddit should be your first stop for any gaming-related socialization. You may have heard horror stories about this site, but keep one thing in mind: Reddit is nothing more than a hub of independent communities (called “subreddits”). Subreddits are user-driven: anyone can create a subreddit whenever they want. Some are nasty and unpleasant, but many aren’t. Each subreddit is run by different moderators, and the quality of a subreddit often depends on who’s running it. While the subreddit for Game X may be terrible, the subreddit for Game Y could be amazing. Certain games may have multiple subreddits for different purposes. For example, League of Legends has a “main” subreddit where most of the general chatter happens, but also a “Summoner’s School” subreddit where newbies can learn and improve their play. Not sure where to start? Here are some tips for finding new subreddits! For starters, you should check out these lesser-known gaming subreddits Off The Beaten Path: 4 Lesser-Known Gaming Subreddits Off The Beaten Path: 4 Lesser-Known Gaming Subreddits If you're a gamer and you don't frequent Reddit, you're missing out. It's one of the world's biggest web communities, and it's populated with gamers aplenty. Read More . Generally speaking, smaller subreddits are more pleasant because they have fewer spammers, complainers, and disruptive members. The default Gaming subreddit, for instance, is full of low-effort posts 15 Awful Reddit Posts You Won't Believe Were Popular 15 Awful Reddit Posts You Won't Believe Were Popular Reddit is home to all kinds of awesome content. But it's also full of people looking to exploit the average user for some quick karma. Here are 15 awful posts that somehow soared to the... Read More . If you’re a gamer who has never used Discord before, you’re in for a treat! This wonderful app is a text/voice/video chat tool all wrapped up in one. Think of it like IRC meets Skype (if you’re old enough to remember what IRC is Yahoo Messenger and 6 More Windows IM Apps Still Kicking Around Yahoo Messenger and 6 More Windows IM Apps Still Kicking Around The rise of chat rooms and instant messengers was a hallmark of the early internet. These tools continue to define our everyday virtual interactions. Do you know which of the pioneers are still around? Read More ). One great aspect of Discord is that anyone can create a Discord server. Each server can have as many chat channels as the server owner wants. Text channels are basically chatrooms, while voice channels are reminiscent of older apps like TeamSpeak, Mumble, and Ventrilo. And as a Discord user, you can connect to as many servers as you want! You don’t have to leave one just to connect to another. While Discord isn’t exactly a social network in the style of Facebook or Twitter, it’s the best way to get tapped into a community and make new friends. By now, every game has at least one Discord server where players congregate, so it’s a great way to find others who are into the same games as you are. A lot of the bigger Discords also make use of Discord bots that add additional social features. These include badges, levels, music and video embedding, polls, reputation systems, customizable profiles, virtual currencies, and more. Discord is also available as a mobile app for Android and iOS devices, so you can stay tapped into your favorite communities from anywhere. Learn more about what you can do in our overview of Discord for gamers What Is Discord? The Best Free Voice Chat for Gamers Yet What Is Discord? The Best Free Voice Chat for Gamers Yet Are you a gamer struggling to find a reliable voice chat app to talk to your friends? Struggle no more! Here are all the reasons Discord is the best chat client out there for gamers. Read More . Maybe you only use Steam for acquiring and managing games The Best Way to Organize Your Massive Steam Library The Best Way to Organize Your Massive Steam Library Is your Steam library overflowing with games that you'll never play. If you've got more games than you know what to do with, this free tool will help you get them under control. Read More , but did you know that it’s essentially a social network as well? Each individual game has a community hub where you can keep up with news about the game, take part in user-created discussion threads, participate in group chats, share screenshots and videos, and even write guides. Not all games make use of all these features, but most do. When you’ve found friends through the community hub, or possibly in the game itself, you can add them as friends and keep up with each other on your Activity Feeds. You can also create customized profiles, leave comments on each other’s walls, create private or public groups where members can post threads, chat in real-time, and play games together. If a social network is all about staying in contact and getting in touch when necessary, Steam is perfect for that. Its instant messaging features allows for text chat and voice chat, and the friends list makes it easy to see what games your friends are playing. These social aspects are just some of the features you may not realize Steam had 8 Steam Features You Didn't Know You Had 8 Steam Features You Didn't Know You Had You probably think you know how to use Steam pretty well. As with any piece of software, there are features you use everyday, and those you don't know you have until you look. Read More . While you’re at it, you should also check out these things you may not have known about Steam 8 Things You Didn't Know About Steam 8 Things You Didn't Know About Steam Steam started out as an annoying program that came with Half-Life 2, but it’s grown into the PC game store of choice for most PC gamers. Although some people aren’t fans and prefer alternative stores,... Read More . Twitch has revolutionized the gaming landscape How Twitch and Streaming Have Changed Video Games for Good How Twitch and Streaming Have Changed Video Games for Good Video game streaming on Twitch and the upcoming Microsoft Mixer service is a wildly popular activity. But could this affect gaming as we know it and shape a new generation of gamers? Read More . It’s a video site that provides a platform where anyone can stream their gaming sessions in real-time, allowing others to tune in and watch them at their leisure. Yet Twitch is anything but “just” a streaming site. Entire communities can (and often do) build up around specific personalities and organizations, similar to what we’ve seen happen on YouTube. And because every stream has a chat beside it, fans can converse with one another while watching streamers play their games. In this way, Twitch is very much the next big social networking site. You can friend other users, send whispers, and follow streamers — but that’s just the start of it. Twitch regularly adds new features to aid in socialization. These days, Twitch is vital for social gamers. Many streamers supplement with their own Discord servers, so you’ll likely have to use both to get fully tapped in. But the biggest (and strangest) part of Twitch? Emotes Want More Twitch Emotes? Try These Options! Want More Twitch Emotes? Try These Options! Twitch's extensive catalog of emotes is one of the most recognizable things about the site. Here are the ones that you'll only find on Twitch. Read More ! They’re like emojis, except specific to Twitch, and partnered streamers can even upload their own emotes. These emotes are like their own social currency: a single emote can convey a lot of meaning, and understanding what each one means is critical to being “in” with Twitch culture. How Do You Socialize With Other Gamers? 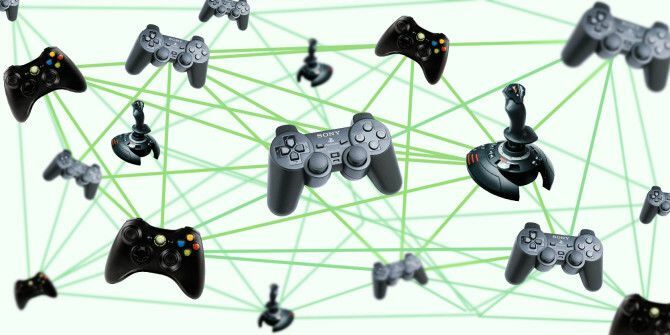 PlayStation Network (PSN) and Xbox Live (XBL) both deserve an honorable mention because they both provide social features for console gamers, like finding and adding friends, sending and receiving messages, etc. But neither is full-blown enough that we’d consider it a true social network. That may change going forward, or it may not. Who knows? Beyond social networks, you will also want to take a look at these free must-have apps for PC gamers. If you prefer something more traditional, check out these big gaming forums 7 Big Gaming Forums for Non-Stop Video Game Talk 7 Big Gaming Forums for Non-Stop Video Game Talk Want to socialize with other gamers online? Look into one of these massive gaming communities that have been around for ages and show no signs of stopping any time soon. Read More where public gaming-related discussions are the main focus. Looking for love? You’ll fare better on one of these gamer dating sites 3 Gamer Dating Sites For Finding Geeky Dates 3 Gamer Dating Sites For Finding Geeky Dates Gamers deserve love too, and several sites have popped up over the years that can help gamers find romantic partners who also share a love for video games. Read More . Which of these gaming communities do you prefer? Are there any others we missed? Or are you more of a solo gamer? Share with us down in the comments! Explore more about: Gaming Culture, Online Chat, Online Community. Kongregate, Amor and Kanoapps are gaming social sites which the 3 look like Facebook, but just for games. They have bunch of games on the sites to chose from. Nah, man. I'm just looking for a gaming site to track my progression in each game, and mark every game that I've already played. Like my collection of games, and from that on, I could share "Oh look guys, I'm playing this awesome game and this is my printscreen of the moment". And that's it. A site just like Letterboxd is for movies, but for games, you know? Contemplating ALL platforms (not just games from Steam): PC, console, all of it. And it could have its own achievements, too! Nowadays, we have so MANY titles avaliabe, and we're not able to keep track of what we've already played, finished, or how many times we've done it. Please checkout gamezspeak.com. It is new and hopes to provide gamers with lots of ways to share. Just need members.